All One Fund - Fairfield Media Co. 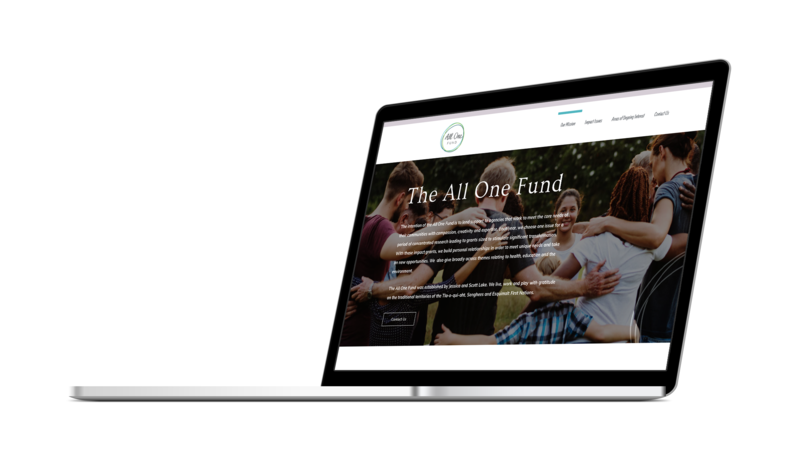 The All One Fund wanted a simple yet informational website for providing a description of work and project areas that the foundation supports. The design focused on combining the shapes and colours from the logo into the general layout while clearly displaying the key information in an easy to read style. The website was built with tools that allow the foundation to make updates easily to the graphical pages whenever they require. In addition, we worked together to finalize the foundation’s logo with the help of our print design partners over at Vibrant Content. We help businesses and organizations communicate with their audiences online so they can impact lives in the real world. Learn about our step by step process for delivering your project. Download one of our free Resources! © 2018 Fairfield Media Co.